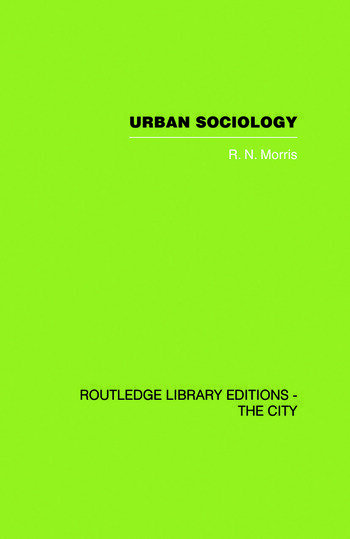 This book offers a coherant theoretical introduction to urban sociology. Based on the urban theory of Louis Wirth, it systematically examines Wirth's principal ideas in the contexts of pre-industrial cities, industrial cities and bureaucracies. Morris discusses conditions for the emergence of cities and for industrialization. He relates organisational and ecological accounts of the city and considers the contributions of each. Bureaucracy appears as a peculiarly urban form of organisation: its ecological and social characteristics are examined in an original manner and with considerable insight so as to illustrate and modify the propositions derived from Wirth's theory. The book concludes with a comprehensive evaluation of Wirth and his critics. This book was first published in 1968.